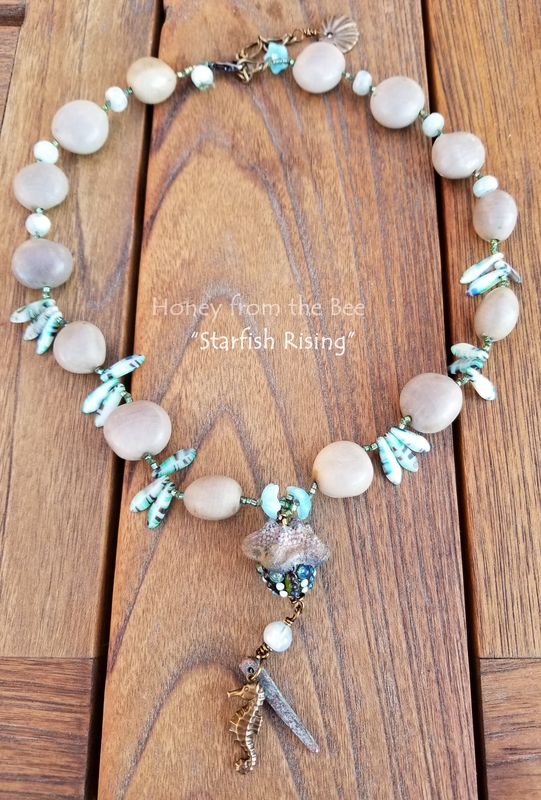 When I purchased the ceramic starfish from the shop Wondrous Strange I thought I might use it in a bead embroidered pendant, but playing around one day with some new lampwork beads by Meital I found it to be the perfect bead cap! Then imagined the dots are bubbles and hence the name of this necklace: Starfish Rising. 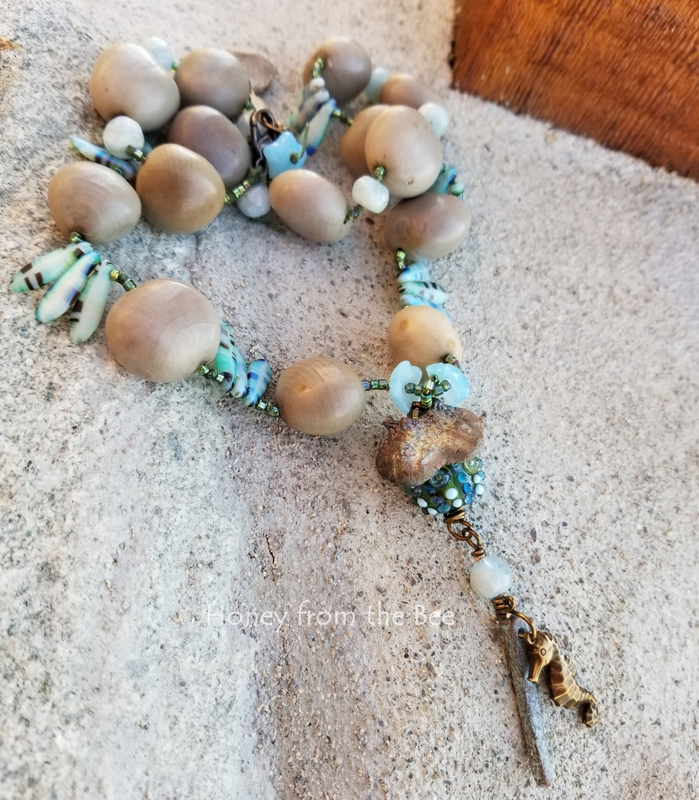 It's playful in its content and easy to wear since the necklace part is made of lightweight Tagua Nut beads from Costa Rica. These glass daggers remind me of kelp. 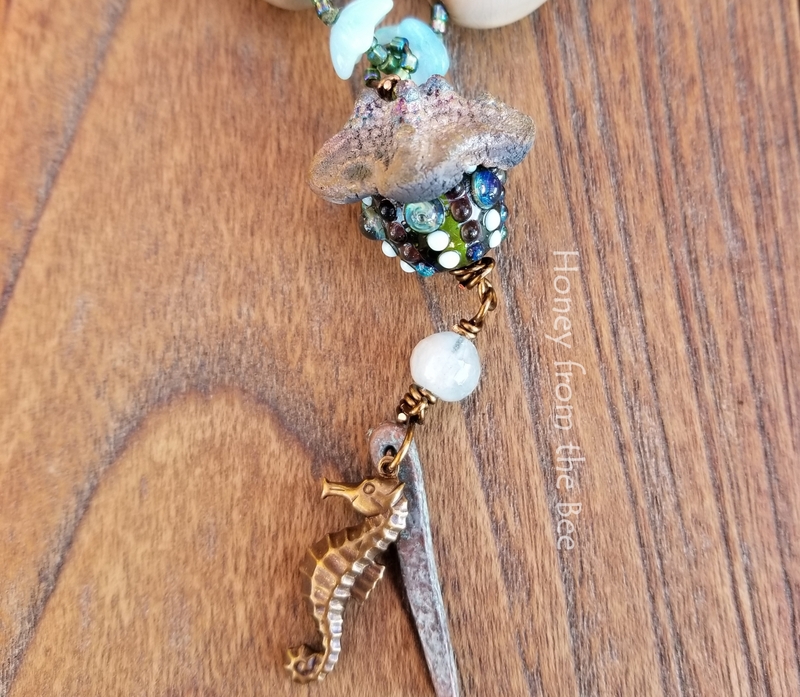 A 3-d brass seahorse charm dangles with a ceramic shard and faceted aquamarine stone bead off the pendant. The tiny glass beads above the starfish are usually sold as flower beads, but I saw tiny starfish there, too. Adjustable from 18-20 inches with a bronze clasp and chain and a dangling bronze shell. Were you a mermaid in a previous life? Or do you just love ocean inspired jewelry? This surprisingly light necklace makes a statement that isn't missed. You can read more about the inspiration behind this piece in my blog post.